A Patriotic Light Display Honors Our Soldiers ~ A Memorial Day Tribute! A beautiful tribute in honor of our troops, veterans and fallen soldiers. 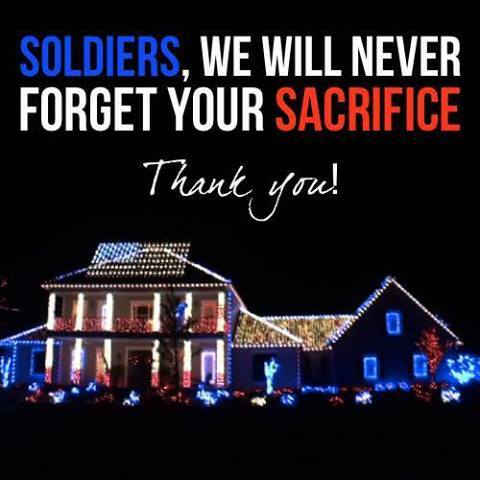 A family honors our 1.3 million fallen soldiers with this amazing patriotic light display – it’s a must see! God Bless our soldiers and our country!